More of my Google traffic comes from ‘jewelcrafting dailies’ than any other single search term, so obviously people are looking for some good information. Hope this helps. Unlike most other tradeskills, there’s a daily quest for Jewelcrafters to complete. Each daily rewards you with 13.23 gold (or 7.4 gold and 12,650 experience if you’re doing it before level 80), 25 Kirin Tor reputation, and the most important thing: a Dalaran Jewelcrafter’s Token. These tokens are essential to acquire for any serious jewelcrafter; they’re used to purchase most of the core rare-quality gem cuts (for more on the cuts available in WotLK, see this post). The tokens are also used to buy recipes for high-quality crafted necklaces and rings, as well as the raw gems for JC-only cuts. All of the quests come from one NPC, Timothy Jones in Dalaran. He’s also the main Jewelcrafting Trainer. You can’t do the daily quests until you’ve completed a basic starter quest from Timothy called Finish the Shipment, which just asks you to take him a raw Chalcedony gem. The quest is available at level 65 and requires 375 Jewelcrafting skill. Each quest involves combining a quest item from a Northrend mob with two different uncommon-quality raw gems. As with the starter quest, the dailies are available at level 65 and require 375 Jewelcrafting skill. Note that there’s no actual crafting involved; once you have the quest item and the gems, just right-click the quest item to combine it into the final hand-in. The gem requirements are balanced, in that if you did all six quests once each, you’d need two of each type of uncommon gem. The quest item drops off any Vrykul in Northrend. Easiest for low-level JCs: vrykul around Kaskala in Borean Tundra, or outside Valgarde in Howling Fjord. Closest to Dalaran for high-level JCs: vrykul in Ymirheim in Icecrown, or Valkyrion in Storm Peaks. Can combine with: a run through Utgarde Keep or Utgarde Pinnacle, as it can drop from the Vrykul in there, or the various daily quests for Ymirheim (from Orgrim’s Hammer/the Skybreaker) or Valkyrion (from Brunnhildar Village). The quest item drops off elementals in Northrend. The quest description says the item comes from revenants, the new style of elemental mob found in Northrend, but other elementals do carry them as well. Easiest for low-level JCs: Ice Revenants at the frozen lake east of Wyrmrest Temple in Dragonblight, . Closest to Dalaran for high-level JCs: Crystalline Ice Elementals in the North of Dragonblight. Can combine with: farming in Wintergrasp, the Hot and Cold daily quest for Sons of Hodir, a Halls of Lightning run, or any number of other quests. The quest item drops off any shoveltusk in Northrend. Easiest for low-level JCs: shoveltusk packs all over Howling Fjord. Closest to Dalaran for high-level JCs: shoveltusk packs all over Howling Fjord. Can combine with: not much. Farming for meat, perhaps, if you’re a cook. The quest item drops off any proto-drake, small or large, in Northrend. Easiest for low-level JCs: Proto-Whelps in the Ember Clutch in Howling Fjord. Closest to Dalaran for high-level JCs: Stormpeak Wyrms in the centre of Storm Peaks. Can combine with: an Utgarde Keep run. The quest item drops off any ‘scourge mob’ in Northrend. This basically means almost all undead. Check this list to see who drops it. Easiest for low-level JCs: take your pick, seriously. Closest to Dalaran for high-level JCs: mobs south-east of Mordrethar in Icecrown, or ghouls around Galakrond’s Rest in Dragonblight. Can combine with: Ahn’Kahet, Drak’Tharon Keep, CoT: Stratholme, Utgarde Keep, Utgarde Pinnacle, Naxxramas, or any number of daily quests. The quest item drops off any iron dwarf in Northrend. Easiest for low-level JCs: the iron dwarves in Giants’ Run in Howling Fjord. Closest to Dalaran for high-level JCs: Stormforged Dwarves around the Temple of Storms in Storm Peaks. Can combine with: nothing significant. Apart from the daily quests listed above, there is one way to get Dalaran Jewelcrafter’s Tokens. Acquire a Damaged Necklace (which is a BoE drop, and usually sells on the AH for hundreds of gold), and use it to start the quest. The quest asks you to repair the necklace using an uncut chalcedony, and then return it to Timothy Jones. Unsurprisingly, the Damaged Necklaces are as rare as hen’s teeth, and will possibly cost you an arm and a leg on your realm’s AH. (They’re 600g or more on my server’s Alliance AH, for instance.) However, if you’re desperate for extra tokens and you just can’t wait, they’re your only option. Finally, the WotLK version of the much-loved Jewelcrafting Quick Reference Sheet. The format’s changed slightly and it’s not as pretty, because Blizzard introduced a ton of new gem cuts in WotLK, and there just wasn’t room for them in the old layout. This table includes all jewelcrafting gem cuts excluding BoP gems that are JC-only. It is current as of 3 November 08, final WotLK beta build. If you prefer it in PDF form, you can download a copy here: jc30a.pdf. Last updated 7 November 08. Edit, later on 7th November: Sharp-eyed reader Canth spotted two duplicate entries; I’ve corrected them, and taken a moment to fix some formatting issues. If you downloaded the PDF already, you might want to grab the new copy. Note: this post contains information on Wrath of the Lich King. So, you’re wondering what professions will serve you best at level 80? Here’s a super-quick rundown of the crafter-only advantages of each profession, to help you pick. In addition, I’ve listed the major epic items that each profession can make, even if they’re BoE, as there’s likely to be a lucrative market in providing crafted epics. Current as of WotLK beta build 8982. Eyonix has confirmed that the “new Honor items” are cloaks and trinkets, upgrades over the current cloaks and trinkets but not huge ones. However, on the 3.0.2 PTR tonight I also espied a Jewelcrafting vendor in the Stormwind PvP vendor area, selling 12 uncommon gem cuts for 1250 Honor each. These haven’t been posted anywhere that I’ve seen, so I’m not sure if they’re truly intended to be on the 3.0.2 PTR – it’s an excellent use of Honor points, to be sure, but the Northrend-level mats rather make me doubt that they’ll be released before WotLK. I hope my doubts are wrong! Note: this post contains information on Wrath of the Lich King, although it’s not hugely “spoilery”. Twenty-three rare gem cuts I discussed in the last post are now five tokens each, not eight. The eight meta gem cuts are still eight tokens each. This brings the total tokens required to 179 – about six months of daily questing, rather than eight. In my recent introduction to jewelcrafting in WotLK I noted that there were a few missing stat combinations that we could expect future jewelcrafting cuts to fill. Read more for information on a number of new rare gem cuts, jewelcrafting daily quests and new epic gem cuts in Wrath. Edit for visitors from Google: I have three more recent posts you might find more useful: a guide to the epic gems in patch 3.2, a quick reference sheet for all WotLK gem cuts, and a guide to the Jewelcrafting daily quests. Hope they’re useful! Note: this post contains information on Wrath of the Lich King, although it’s mostly mechanical and thus not hugely spoilery. The most recent WotLK beta patch introduced a number of new Jewelcrafting recipes, showing us the Northrend equivalent of some very familiar Outland gems – as well as some new contenders. 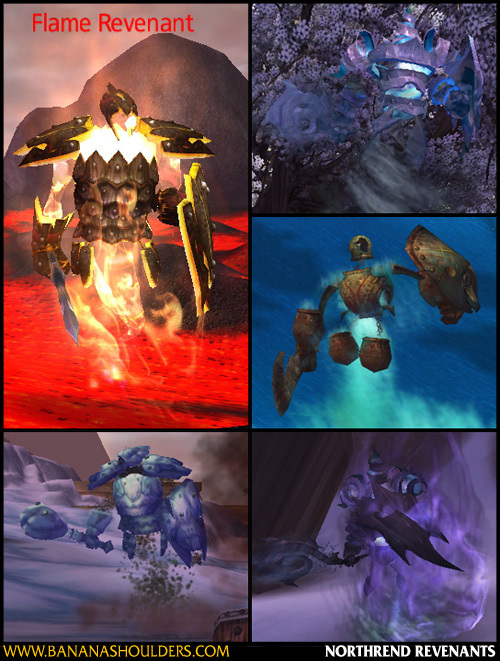 Read on for details of Northrend’s new uncommon, rare and meta gems, the many new gem cuts included in the expansion, and a new Jewelcrafter ability: Gem Perfection. The Jewelcrafting Quick Reference Table has been updated to include the four new jewelcrafting patterns introduced in patch 2.4.2, which went live this week. This table includes all jewelcrafting gem cuts excluding BoP gems that are JC-only. It is current as of 15 May 08, Patch 2.4.2 live build. If you prefer it in PDF form, you can download a copy here: jc24c.pdf. Updated 15 May 08 with the four new cuts in 2.4.2 (Reckless Noble Topaz, Quick Dawnstone, Forceful Talasite and Purified Shadowsong Amethyst). New Dailies in 2.4 (includes Sunwell dailies, fishing dailies, and world PvP dailies). More on Sunwell dailies here and more on PvP dailies here.